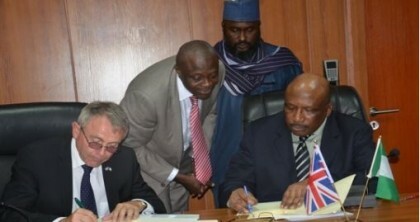 Nigeria and the United Kingdom (UK) have signed a Memorandum of Understanding on Immigration Returns, for the proper profiling of the nationalities of migrants through the use of biometric and biographic data. 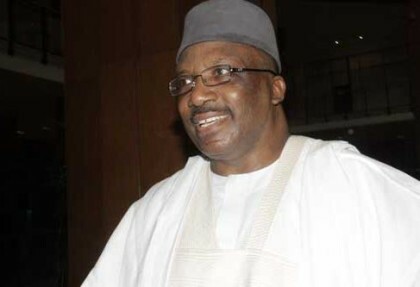 The Minister of Interior, Lt Gen Abdulrahman Dambazau (rtd), disclosed this at the signing of the Addendum to the 2005 Memorandum of Understanding (MoU) on Immigration Returns between the Government of Nigeria and the United Kingdom, in Abuja. The Minister said this was a review of the initial bilateral agreement signed in 2005 between the countries on the return of illegal immigrants, as well as for legal migrants who have overstayed their visas. Speaking earlier, the leader of the UK delegation and Minister of State for Immigration, Robert Goodwill MP, said the Addendum was a significant modernization on the earlier MoU and a remarkable achievement which would cement the UK/Nigeria relationship, which is rooted in history. He stressed the importance of preventing immigration abuse by those who enter and leave the UK illegally. He particularly commended the Minister of Interior for driving the process, which culminated in the signing of the MoU. In a remark, the Comptroller-General, Nigeria Immigration Service (NIS), Mohammed Babandede, whose organisation is a major beneficiary of the MoU, said innovations have been introduced to make the Nigerian passport acceptable all over the world by making it machine-readable through matching the biometrics in the passport to the holder. In a vote of thanks, the Acting Permanent Secretary, Ministry of Interior, Alhaji Muhammadu Maccido, promised the full implementation of the MoU for the mutual benefits of Nigeria and the UK.